The Riviera Maya, a place solely for sun, sand and a few Coronoas right? Well, not really. It is also a popular vacation destination with those with an adventurous heart. 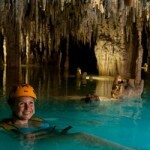 When you reach your limit of fun in the sun on the beautiful white sand beaches of Cancun and the Riviera Maya, cool off by jumping into a cave full of fresh ground water and swim around hundreds of stalagmites and stalactites that date back thousands of years. 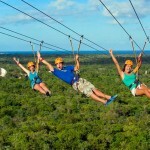 If that is not adventurous enough for you, then suspend yourself on miles of zip line that hang high above the natural green jungle. 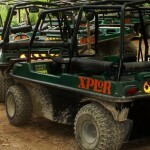 There are only two of the activities offered at Xplor. Imagine the other possibilities. 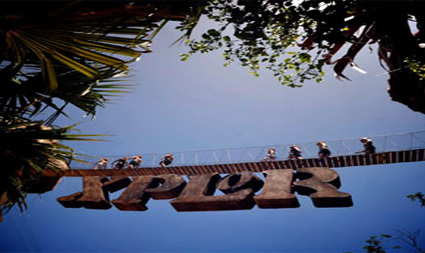 Located just a short drive south of Cancun and slightly past Playa del Carmen, the adventure park, Xplor awaits you. With activities ranging from mildly extreme to relaxing, the park has something for everyone. Just remember to bring water shoes because not matter what you do; you are going to get wet…very wet. Visit the souvenir shop first. It is a good place to buy water shoes if you don’t already have them. Also, after a full day of adventure activities, you will be too tired to shop at the end of the day. Don’t worry about bringing snacks or drinks for the kids. The park has set up food and drink stands throughout the park. Also, there is a very nice buffet-style restaurant. It is all-inclusive too so you don’t have to worry about paying extra. Knowledge of the Spanish language is not needed. The park staff is completely bilingual and offer instructions in both Spanish and English. Don’t worry about safety. 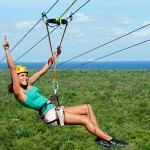 The park has been certified by a third-party international company to ensure all safety regulations are in order.